Getting adults of all ages and abilities back into sport & developing young people for the future! Milton Keynes Rowing Club aims to promote & expand the sport of rowing for people of all ages and abilities in the local community. We strive to provide a platform for all adults to get back into sport and for young people to learn & develop new skills for the future. We provide various levels of membership to accommodate each individual's lifestyle and aspirations whether it's on a competitive, development or recreational level... and of course establishing a healthy local social environment. 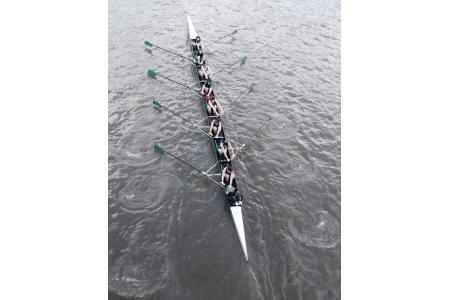 Being the only rowing club in Milton Keynes and the surrounding areas, we have a large local community who can benefit from what a rowing club can offer, to both an individual and groups. Rowing is a fun & great way for adults to get back into sport, particularly through our 'Learn to Row' courses - offering adults and young people the chance to learn the basics before developing their new skill further & rowing for fun or competition, whilst at the same time becoming increasingly healthy & fit! Our 'Learn to Row' & 'Rock Up & Row' events saw over 100 people of all ages & abilities learn the basics of rowing. We held our first British Rowing affiliated Regatta this year attracting clubs from all over the UK. We won 'MK Sports Club of the Year' in 2013 & 15 as well as medals at Henley, Head of the River, National Championship and World Championships. We are currently raising funds to build a new Boat Shed. This is to ensure the future growth and development of rowing in Milton Keynes.